LEAWOOD, Kan. - Jan. 10, 2019 - PRLog -- BCS Overland Park/Leawood, KS says that some job seekers are afraid to push back on terms of an offer even though the competition for talent has never been hotter with unemployment sitting at 3.8 percent. The unwillingness to effectively negotiate could end up costing hundreds of thousands of dollars over the course of a career. Approximately 64% of job hunters accept the first offer presented to them, and by doing, so shortchange the value of their talent. Job site Glassdoor, through analyzing it's user database, said he the average American employee was underpaid by over 13 percent. Because of the compounding effect, leaving even a small amount of compensation on the table can be significant. Negotiating just a $5,000 increase from an initial offer with an annualized rate of growth of 5 percent over a 45 year career would equate to more than $750,000. Job seekers can effectively negotiate by not accepting the first offer, realizing that most companies will not present their best offer up front. It is fine to counter offer and also demonstrates to the company that the potential new employee will do an effective job of negotiating for the company as well. 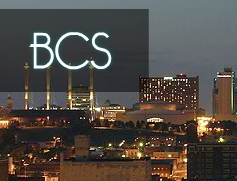 BCS is a career management firm located in Overland Park, KS and assists professionals and executives in various industries across the country. They have 49 cooperative offices in five countries, including the U.S., Australia, Canada, Scotland and England.